This is an injection performed in the back of the scalp area. It works well for certain types of headaches due to the occipital nerves including cervicogenic headaches, cluster Occipital Neuralgiaheadaches, migraines and what is known as occipital neuralgia. Where are the occipital nerves? These are sensory only nerves that are located in the back of the scalp. They originate on both the right and left sides at the top of the neck and provides sensation throughout the back of the scalp. There are actually two occipital nerves – one known as the greater and the other one called the lesser occipital nerve. 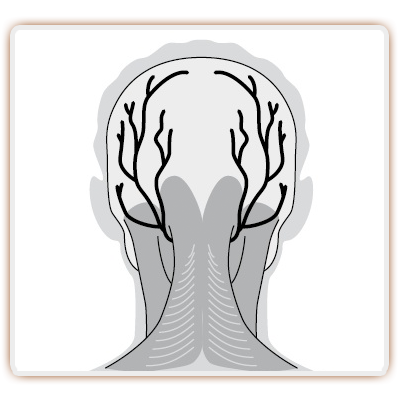 For what conditions do occipital blocks benefit? As mentioned, these blocks are indicated for several types of headaches including migraines, cervicogenic or cluster headaches and what’s called occipital neuralgia.They work very well for headaches that occur on one side of the head. 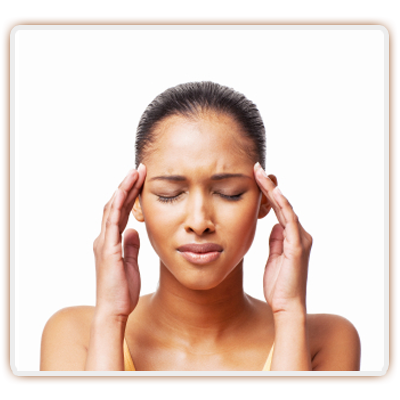 At times, headaches can also be caused by arthritis in the facet joints of the neck. For this reason, the occipital block is sometimes combined with facet injections or medial branch blocks for the neck itself. These injections are performed as an outpatient, often right in the office. The area of maximum tenderness is palpated and then numbing medicine is placed directly under the skin. Numbing medicine is also placed in the soft tissues down to the area where the nerves are. 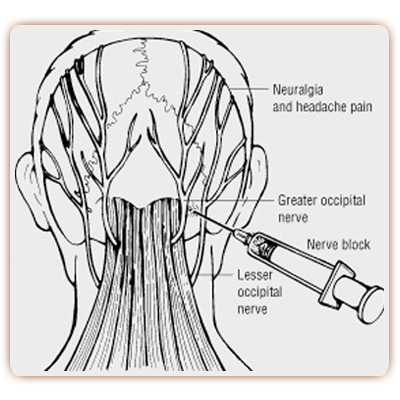 At this point, numbing medicine is injected over both the greater and lesser occipital Occipital Blocknerves. See the picture for more detail. 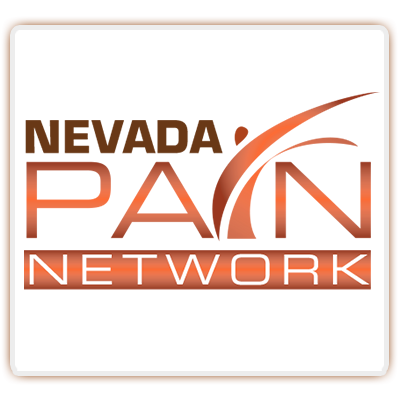 Along with numbing medicine, Pain Management Doctors may also include steroid medication or potentially, phenol. Phenol is a form of alcohol and can provide long lasting relief. How well do occipital nerve blocks work? Occipital blocks work very well for headache conditions. For cervicogenic headaches, one study showed that 96% receive six months of Pain Relief with occipital blocks (Naja ZM et al. Repetitive occipital nerve blockade for cervicogenic headache: Pain Pract. 2006). When it comes to migraines and occipital neuralgia, studies have also shown an 85% effectiveness rate for headache Pain Relief. This included up to six months of relief (Anthony M. Headache and the greater occipital nerve. Clin Neurol Neurosurg. 1992). An additional option for headache Pain Relief is to perform a radiofrequency ablation of the occipital nerve, which is also called a radiofrequency neurotomy or radiofrequency lesioning. This procedure involves thermal heat being applied to deaden the occipital nerves with the hopes of providing longer-lasting Pain Relief. 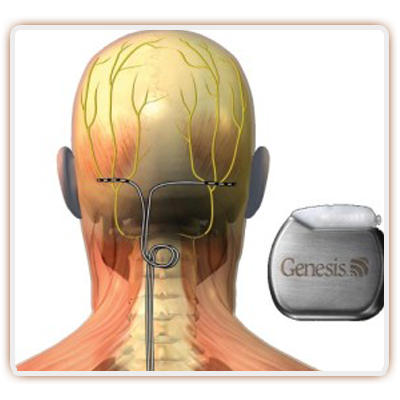 As a last resort, the option of occipital nerve spinal stimulator exists. This may be effective – so far studies have been small but shown effective results. Fortunately, occipital nerves only provides sensation and no motor function. So deadening them is not a problem. What are the risks with occipital nerve blocks? The risks of these procedures are very low. There is a small risk of infection or some bleeding. 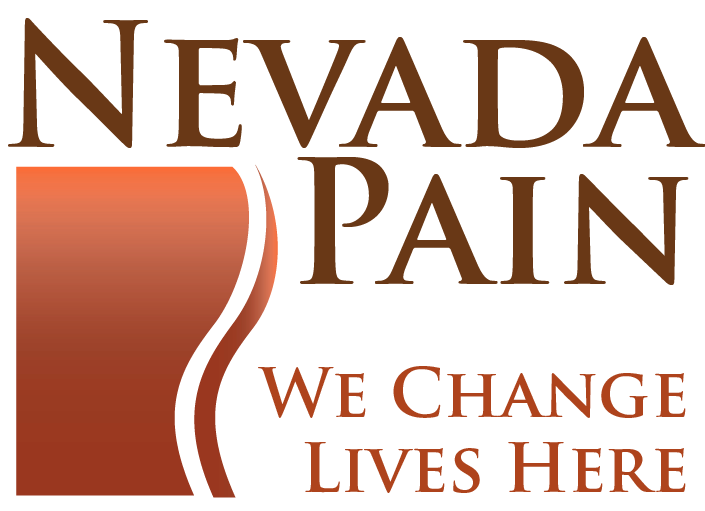 If you’re taking blood thinners, check with your Las Vegas-based doctor for instructions. Rarely, occipital blocks may cause a spinal fluid leak. However, the placement of these blocks is not supposed to go past the outer part of the spine. Overall, occipital nerve blocks and radiofrequency ablation represents a rewarding method of pain relief for numerous types of headaches. Combined with traditional treatments such as medication management, chiropractic therapy and physical therapy, they play a vital role in reducing or eliminating pain due to an occipital nerve problem.